The international online marketplaces company Adevinta has today completed the successful completion of its public listing on the Oslo Stock Exchange (Oslo Børs). The shares will be listed under the ticker symbols ADEA (A-shares) and ADEB (B-shares), and under ADE once the collapse of the two share classes has been completed, expected by end 2019. 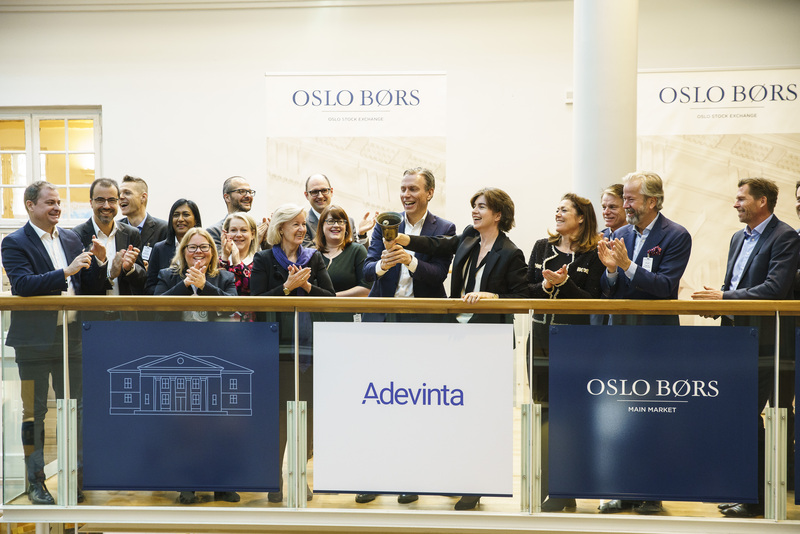 The official bell-ringing ceremony to mark the opening of the Børs and the beginning of trading in Adevinta shares was officiated today by Adevinta Board Chair Orla Noonan and CEO Rolv Erik Ryssdal. “Adevinta is a high quality leader in its sector and is ideally positioned for sustained high growth and expansion,” said Noonan. What does this mean for Schibsted? Schibsted will retain majority ownership in Adevinta at the time of the listing, and intends to remain a long term active owner of Adevinta. The transaction represents an important strategic step forward for Schibsted, as it allows the two companies to set out their best strategic courses individually. Schibsted will optimize its value creation by continuing to invest in digital consumer services as well as participating actively in the development of the international online classifieds industry. Schibsted has a history of utilizing new technology, creating new services, developing new markets with potential for significant value creation and adapting to rapidly changing markets. These values will remain at the core of both Schibsted and Adevinta. Adevinta helps local marketplaces thrive through global connections and networks of knowledge. The company operates digital marketplaces in 16 countries in Europe, Latin America and North Africa, with leading local brands including Leboncoin in France, InfoJobs in Spain, Subito in Italy, Willhaben in Austria, Shpock, and a 50% share of OLX Brazil, among many others. Adevinta’s leading local brands form an integral part of life for users, with an average of 1.5 billion visits to its sites every month.